vs.16 so John declared before them all, “I baptise you with water, but someone is coming, someone who is more powerful than I am, and I am not fit to undo the strap of his sandals; he will baptise you with the Holy Spirit and fire. Donal Neary SJ: Editor of The Sacred Heart Messenger and National Director of The Apostlship of Prayer. 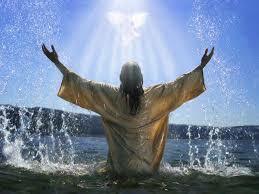 The Baptism of the Lord is told in all four gospels with each one giving its own slant. We must be faithful to the text before us – St Luke’s version. The story can be read from different perspectives; in our meditation we are free to choose the one which corresponds best to our experience. • It is first of all an extraordinary religious experience. St Luke’s is the only version which says that Jesus “was at prayer”. Luke does not emphasize the actual baptism at all, but presents it as the prelude to the main event – the descent of the Holy Spirit and the voice from heaven. – “Heaven opened” indicates that all dualism is broken down – between God and humanity, between humanity and nature. – “The Holy Spirit descended in bodily shape, like a dove” – the experience of the Holy Spirit is vivid but very gentle. – “A voice came from heaven” should be interpreted in the same spirit as the coming of the Holy Spirit. It is so vivid and so gentle that it could only have come from heaven. – “Yo u are my son” – in the Bible, divine sonship is attributed to kings, usually on the occasion of their enthronement; royal power is conferred on Jesus. – “The beloved” – Jesus is assured that he is loved tenderly, as a bridegroom is loved by his bride. – “My favour rests on you” says that God’s love remains permanently with him – it is not something temporary. We are reminded of Jesus’ words at the Last Supper, “As the Father has loved me so I have loved you, remain in my love” (John 5:9). • Verses 21 and 22 make no reference to the historical context, but the inclusion of verses 15 and 16 in the liturgical reading reminds us that Jesus’ baptism took place when John the Baptist’s ministry was about to come to an end. The baptism was therefore Jesus’ call to public ministry. This fits the biblical pattern by which a call to do God’s work is always preceded by a deep experience of God, e.g. Isaiah, Jeremiah, Gideon in the Old Testament, Mary and Zechariah in the New. Experience bears out that this pattern of a deep personal experience leading to a new commitment occurs in the lives of many people. It happened to saints such as Augustine, Ignatius of Loyola, Teresa of Avila and Margaret Mary, and to many other great men and women. We can identify a similar pattern in our own lives too. • Even though, as noted above, St Luke downplays Jesus’ baptism, we are free to focus on it. St Luke notes that Jesus came forward “when all the people had been baptised,” inviting us to see him as entering into solidarity with those who had come to John for baptism. • In St Luke’s version, Jesus’ baptism was a personal experience. It happened when he was “at prayer” and “the voice which came from heaven” was addressed to him – “You are…”. This interpretation is not insisted on, however, so we have the latitude to interpret the story as a proclamation to the bystanders. It then becomes the story of when we perceive the spark of divinity in someone we previously looked down on. Lord, we thank you for deep prayer experiences when we are truly one with Jesus. abandoned by all, including you. since your favour rests forever on us. – those who are mentally or physically handicapped. and that your favour rests on us. teach us to first humble ourselves before you, as Jesus did. we will be ready to commit ourselves to the new venture you have called us to. Ethnic group, race or social class you invite us to enter. and that your favour rests on them. Jesus is not just some teacher of wisdom or some guide to a happy or holy life, he is the one with whom the Father is well-pleased, and he brings us into the presence of the Father and sends his Spirit among us. We can gather here no for the Eucharist because the Spirit is giving us divine life, Jesus is in our midst, and so we stand and offer our thanks to the Father. 1. Between today and the end of next November, except for some special days around Easter, we will be reading pas­sages from St Luke’s gospel each Sunday at the Eucharist. This year is known in the order of our readings as ‘the year of Luke’. 2. We can divide his gospel into three parts: the first deals with the events before and around the birth of Jesus (and we have just read this portion over Christmas; the third part deals with the last week of Jesus’s life in Jerusalem, his passion, death, and resurrection (and we will read this at Easter); and in between we have all the preaching and miracles of Jesus during his public ministry which St Luke sets out as taking place as Jesus moves along the road from Nazareth to Jerusalem. 3. This central part of the gospel- the teaching and preaching with recollections of healings and meals – all belong to what we traditionally call the public ministry of Jesus, his adult life, his activity among the people of Israel. It is this central part of the gospel that provides the passages for the ordinary Sundays during the coming year. This central part opens with the great scene of the baptism in the Jordan we have just read when Jesus takes over from John the Baptist. The work of the time of preparation is over; the time of the work of the Christ has begun. 4. Luke places this wondrous scene – the two great prophets meeting, and then the Father’s voice being heard and the Spirit appearing in the form of a dove – at the beginning of the public ministry to show us that this is the mysterious in­auguration of the new age of the Christ. He also does it so that when we hear what follows – Jesus doing this or that, saying this or that, meeting this person and then that person – we will keep in mind the full identity of the One we call ‘Lord’. 5. 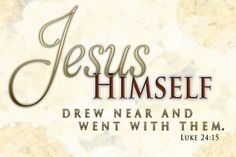 Luke presents us with a highly visual mysterious scene – pic­ture it in your minds – of Jesus and John in the river, crowds of followers around and then from above the heavenly voice and the dove: this is the true identity of Jesus. 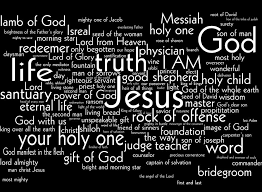 Jesus is a human being like us, the final prophet, the uniquely beloved Son of God, the one empowered by the Spirit, the revelation of the Father, Emmanuel – God with us, the glory of God made manifest to us. 6. We have to keep this wondrous image of Jesus in the Jordan, the revelation of his true identity, in our minds as we move onwards in our recollection of his words and deeds in the weeks and months ahead. 7. There are now between 345 and 351 shopping days before next Christmas. The baptism of Jesus is an important event in each of the gospels, heralding as it does the beginning of Jesus’ public life and marking him out as the beloved of God. Luke’s account of the baptism does not focus on the event itself but on its aftermath, i.e. the descent of the Holy Spirit on Jesus while he was at prayer. In describing it in this way, the evangelist is highlighting two themes that are central to his gospel. These are the role of the Spirit and the importance of prayer in Jesus’ life. For Luke the fact that they are important in the life of Jesus means that they must also be important in the lives of his followers. In remembering this incident, we are being asked not only to believe it of Jesus but also to recognise it as our own story. Through baptism, each of us has become a beloved son or daughter of God and it is an awareness of this reality which becomes the driving force in our lives as Christians. The image of God as shepherd and defender is one that we need to consider as we recall our own baptism, for the God who calls us is not some distant disembodied voice but the parent, friend and guide who says to us ‘you are my beloved’. It was while at prayer Jesus became aware of the power of the Spirit within him and today we too are invited to pray for an understanding of what the Holy Spirit is offering us and asking of us. 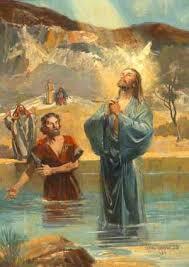 Today, Jesus’ baptism by John, was a special moment – the real coming of God’s spirit upon him. It was the same Spirit who had come upon Mary at the moment of Jesus’ conception, and would come to Jesus at his last moment on the Cross. The spirit brings him new energy. The feast marks that something new is happening, and that Jesus is the beloved and son; from eternity and into time. 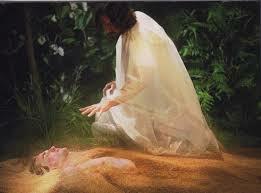 The Spirit came upon him – but not just for himself. He would send the Spirit later to us – of forgiveness and of perseverance in doing good. Today is about energy. 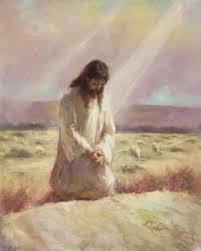 Jesus found a new spirit in himself after his prayer and he heard words he would never forget. Maybe you have heard words of love from someone you will never forget. They give energy to the heart and soul, making us people always on the go, ready for new life within us. 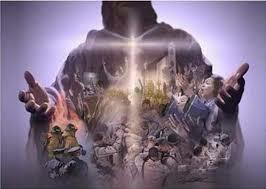 The Spirit pours the energy of God into bread and wine and they are changed forever. He sends himself forever. It is sending the love and presence and energy of God. We know that we can get stuck. We need new infusions of the Spirit to give new energy. Can we be the type of people who others think it’s good to meet? Open to the spirit of God, open to new life, new love, being really fully the person I can be? bring us the new life of your love.